There are two things that screenplay writers script that smack of laziness and just an excuse to kill time; much like having to write a 2,000 word essay and filling it up with verbiage and periphrasis. One of them is the reading of the Miranda rights to a suspect. By now you can go and make a cup of tea while the cops quote the full speech. “..If you can’t afford an attorney-” cetra, cetra. The other thing is the lie detector test. The pioneer of the modern polygraph was William Moulton Marston. His original research was expounded upon and “bettered” by other scientists though he is credited with being the father of the machine that felons fake their way through with a steady heartbeat. However, our Willie wasn’t a one-trick filly. He also invented Wonder Woman. As my reader knows I am a Marvel man born and bred. The wondrous Wonder Woman is from the DC stable of comics. My DC knowledge is passable as it is always good to know your enemy, even if they are known in our circles as Brand Echh. Further studying of WW was by religiously watching the 1970s TV series with my dad. Let’s go back to the creator of the Amazonian superheroine, WM Marston. He had obviously not forgotten about the ineffective Poly because he armed Wonder Woman with a Lasso of Truth. This was a powerful weapon. Anyone trapped by the lasso was forced to tell the truth, calm heartbeat or not, and thus, the truth, the whole truth and nothing but the truth was uttered by the captive. She could find out if the apprehended was a baddie or not. 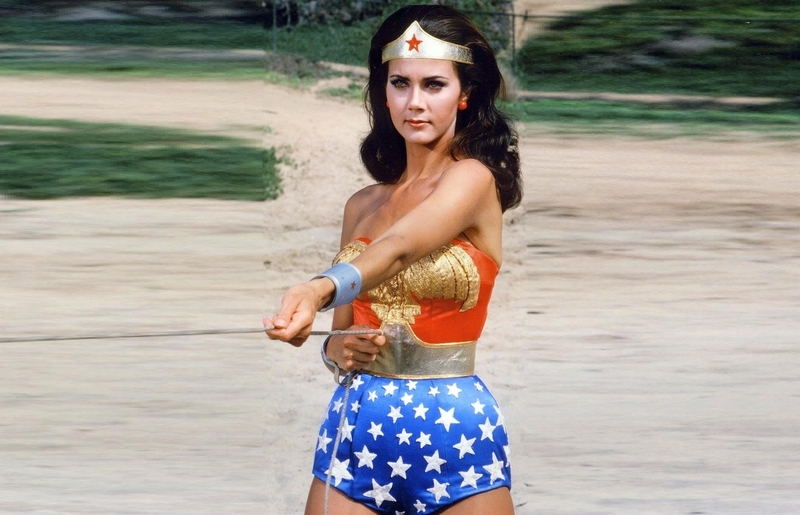 Sadly, the Lasso of Truth test was inadmissible in court. My dad loved the TV series but thinking back to when I was a very young lad I never saw the attraction in this show. The plots were implausible, the villains unscary and the production dire. By chance I noticed it was being repeated on the Horror Channel and I tuned in for old times sake to see if my opinion had changed. Nope, still the same. Don’t know what my dad liked about this show. And that’s the truth. WW was never for me, JW. Few fantasy tales are, either as books or video. Perhaps harrison Ford’s marathon deserves a credit though.